Tiger Sugar: Is It Worth The Hype? Brown sugar in milk tea? A two-hour line, seriously? Is anything worth that? 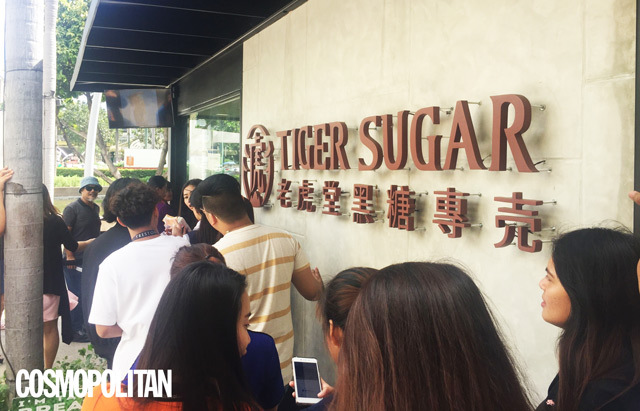 Apparently, a lot of people think so because that's how long they're willing to wait for a taste of Tiger Sugar. 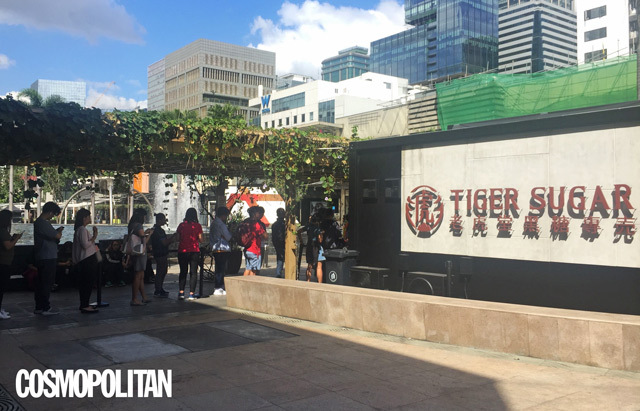 Originally from Taiwan, Tiger Sugar opened its first store in the Philippines on December 21, 2018, and the hype is real. 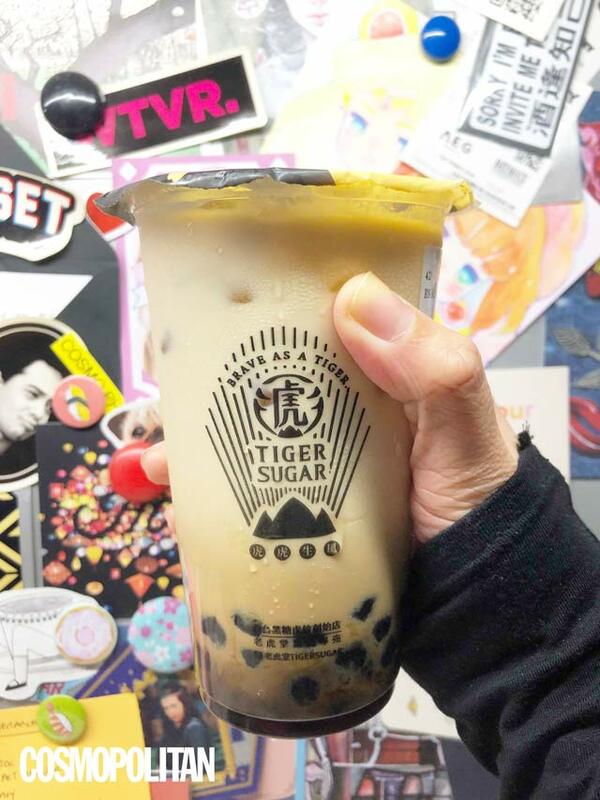 We decided to try Tiger Sugar's bestseller: Brown Sugar Boba Milk With Cream Mousse. Ysa: Whenever a new milk tea spot pops up, I'm always curious about whether it lives up to the hype or not. I've heard a lot of good things about Tiger Sugar (despite the insane waiting time) so I dragged myself to BGC and lined up for almost two hours for their bestseller: Brown Sugar Boba Milk With Cream Mousse! I was worried about it being too sweet because when it comes to my drinks, I don't like all the ~frills~. Tiger Sugar didn't disappoint. On a particularly hot day, it hit all the right spots. The pearls, in particular, were perfect—chewy enough without being sticky. I'm not sure I'd ever line up again, but I have no regrets. Cindy: It was love at first sip. Don't get me wrong though, I didn't have any plans of trying Tiger Sugar because brown sugar was never my thing. It didn't appeal to me. So when I saw this all over social media, I was like "meh." But, when I finally got to try it (after laughing my way as I shook the cup 15 times, as suggested), it tasted like no other milk tea I've ever had. I prefer milk tea that has the lowest sugar level, and I was apprehensive that you couldn't tweak the sugar "settings" for Tiger Sugar. Okay, yes, it's a tad bit sweeter than what I'm used to but it works. It's creamy, rich, and just MEMORABLE. Even the pearls taste GOOD, and I am not a fan of pearls. My verdict: Will I line up for two hours for this? Nope. But will I have someone to line up FOR ME? ABSOLUTELY. Tisha: The only milk tea I like is one that literally tastes like milk and tea—as in no added sugar at all. 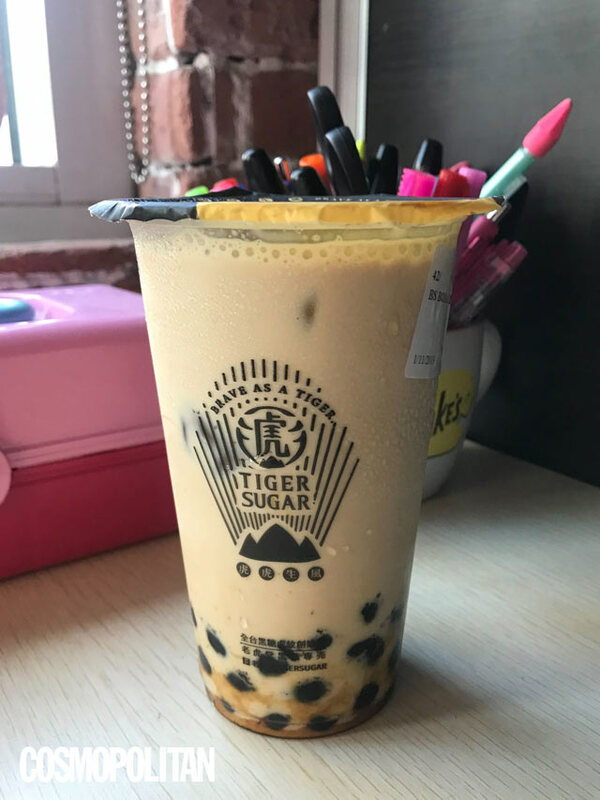 When I heard Tiger Sugar had brown sugar in their milk tea, I was already expecting a super sweet drink that didn't even have a hint of tea in it. But I could not be more wrong. After shaking it 15 times, my tongue was met with the creamiest milk tea I've ever tasted. It was unlike anything I tasted before, and the best part is it wasn't sweet at all! I like how the pearls were chewy, not glue-like in consistency, and how even if the ice was already melted, the milk tea was still silky and tasty, like melted ice cream! Clearly, I loved it and I'll be going back to Tiger Sugar to buy another one (once there's no longer a two-hour line because TBH I ain't got time for that). Lou: Milk tea has always been a fave drink of mine. If I had to choose between coffee and milk tea, I'd pick milk tea without a doubt. 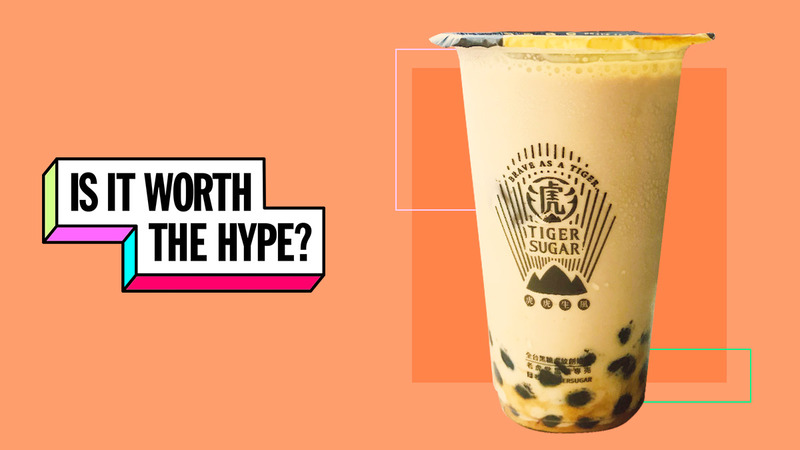 I've heard a lot about the Tiger Sugar milk tea craze from my friends and officemates, so I was really looking forward to trying one for myself. From the name itself, I expected it to be super sweet. To be honest, it wasn't at all. But it still tasted delicious! The milk tea had just the right amount of sweetness and the pearls were chewy AF. I love pearls with a passion and the ones from Tiger Sugar were just so tasty that I could add another serving of it to my drink. 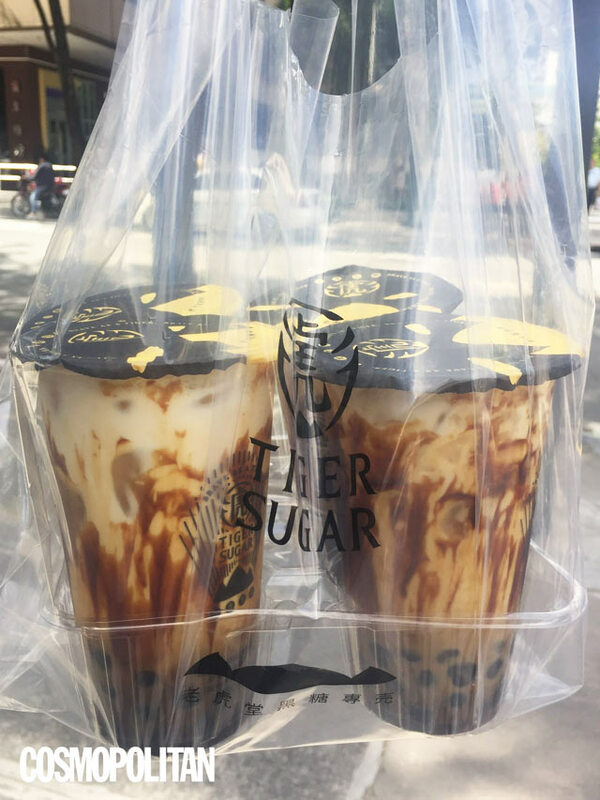 So yes, Tiger Sugar milk tea is worth the hype. It's a creamy cup of goodness that I wouldn't mind lining up for. TL; DR: It's worth the hype! Follow Ysa, Cindy, Tisha, and Lou on Instagram.